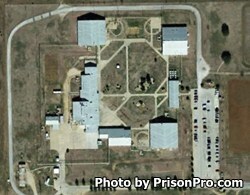 Walker Sayle Unit, commonly referred to as Sayle Unit, is a substance abuse felony punishment facility (SAFPF) located in Breckenridge Texas, part of Stephens County. Sayle Unit can house up to 632 male offenders and specializes in the rehabilitation and treatment of inmates who suffer from addiction through the Substance Abuse Felony Punishment Program. The facility is situated on over 400 acres and is comprised of nine buildings within a fenced area. Inmates are housed in a dormitory setting with approximately 204 offenders per dormitory. Most of the inmates at Sayle Unit are young, and have an average age of 21-23 years. Additionally, the average length of time an inmate is incarcerated at Sayle Unit is six months. Most inmates are sent to Sayle Unit directly from a county jail, or after classification at the Byrd Reception Unit. Due to the short stay of most offenders, and the focus of substance abuse treatment, educational and vocational programs at the Sayle Unit are non-existent. Programs at Sayle Unit primarily focus on substance abuse education, support groups, life skills courses, and parenting classes. Additionally, select inmates can work on community service projects that provide a supervised labor force to the Department of Transportation and the Texas Division of Parks and Wildlife. Inmates at Sayle Unit operate a facility garden and the institution permits contract farming and grazing on it's land. Friends and family members who have a loved one incarcerated at the Sayle Unit in Texas can visit on Saturdays and Sundays from 8am to 5pm. Visits are two hours in duration and will terminate at 5pm, so if you arrive at 4pm you will not be able to have a full two hour visit. Inmates are allowed a single visit each weekend. Visitors are permitted to bring a clear Ziploc bag with up to twenty dollars in quarters to purchase items from the visiting room vending machines, no paper currency is allowed.